Nickel Plate Road No. 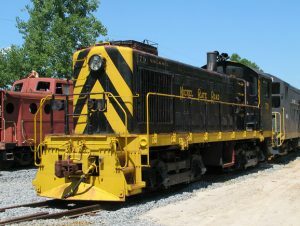 79 is a model S-4 switcher built in May 1953 by the American Locomotive. Also known as the New York, Chicago & St. Louis, the railroad connected markets in Chicago and the Midwest with the eastern terminal of Buffalo, N.Y. Engine No. 79 was used in yard and transfer service and was operated in the Cleveland area for much of the 1950’s and 1960’s. 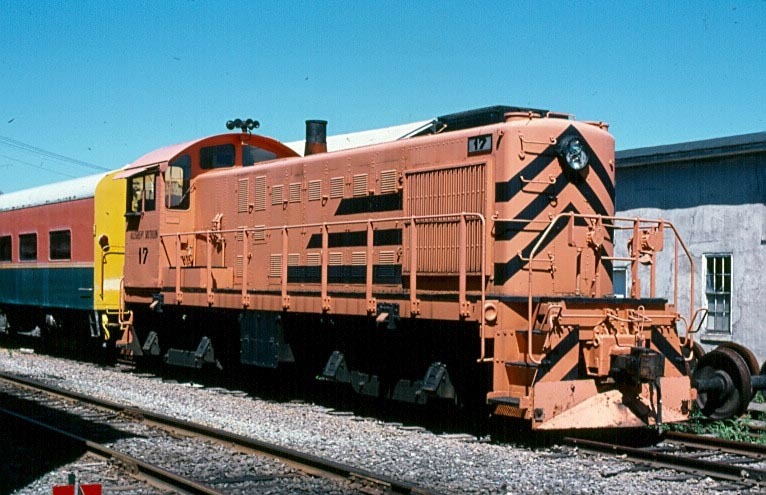 The Alco S-4 was in production from 1949 to 1957, with 797 units manufactured for railroads across the country. In 1964, the Nickel Plate Road was purchased by the Norfolk & Western Railway. The unit was painted blue and became their number 2079. 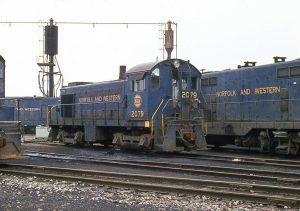 The N&W retired the unit on December 6, 1974, and it was sold through a dealer to the Wyandotte Terminal Railroad in Michigan in 1976 where it became their number 107. In 1982, it was sold to RSA Leasing in Sodus, N.Y. 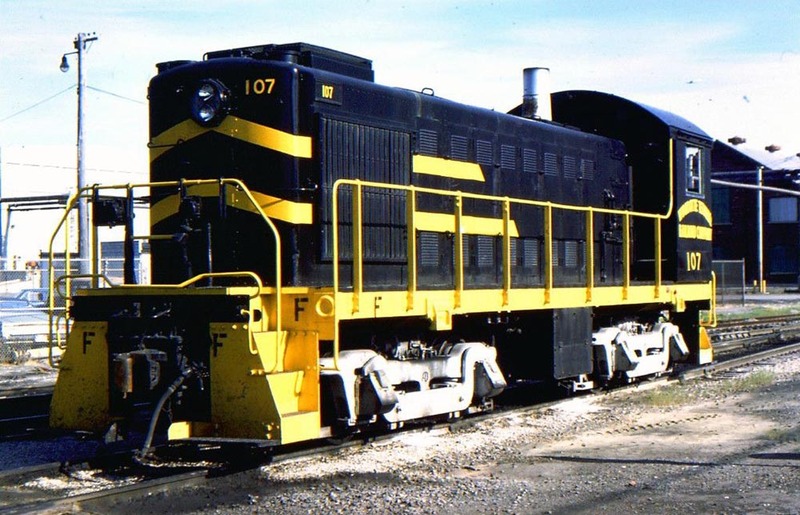 They leased it to the Allegheny Southern Railroad in Pennsylvania where it became their number 17. The unit was returned to Sodus in 1985. In September 1987, it was purchased by a private individual and moved to our museum. In 1993 and 1994, it was restored to its original Nickel Plate paint scheme and number. After many years of reliable operation on our museum railroad, the unit was taken out of service and stored by the owner in 2009. In 2016, the locomotive was donated to our museum. Our volunteers plan on reactivating the unit to active service over the next few years. Listen as our Alco RS-1, Eastman Kodak #9, idles while our Alco S-4, Nickel Plate Road #79, starts on the next track over. On top of the idling of the #9, you can hear the low oil pressure alarm bell ring in 79’s cab as the start button is pressed. This is followed by several blasts of exhaust as 79’s engine comes to life and eventually comes up to speed to provide a double dose of the sound of dueling Alco 539 diesels.